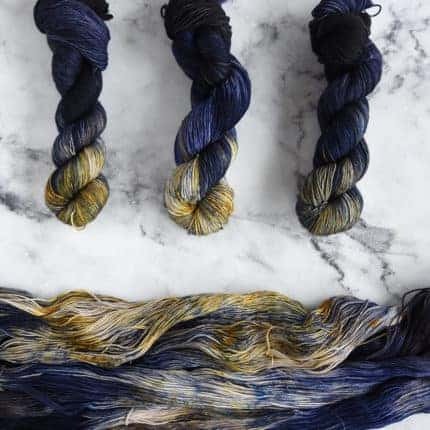 Destination Yarn is an independent, hand-dyed yarn company located in Cleveland, Ohio. Founded by a former architect, we believe in the power of place to inspire creativity in all forms. Through a passion for travel, color and the fiber arts we create unique and vibrant colorways just for you. We recently released a new collection of colorway inspired by PARIS. To create this series, I ended up taking inspiration from both the places themselves as well as the feel of it all. It’s a deep, moody, rich color palette, with a point of view inspired by impressionist paintings and old postcards as much as modern photographs. This came out in the dyepots as a series of eight colorways — four variegated and four coordinating tonals. These colorways are designed to mix and match in any combination. 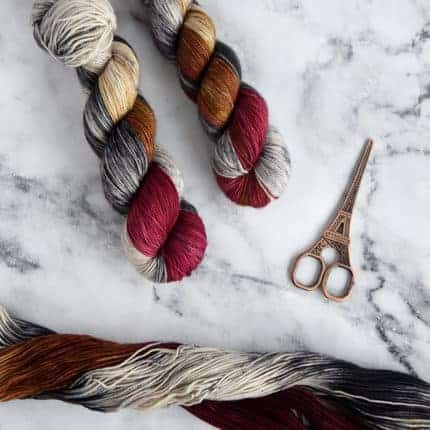 Perfect for both fades and colorwork projects! 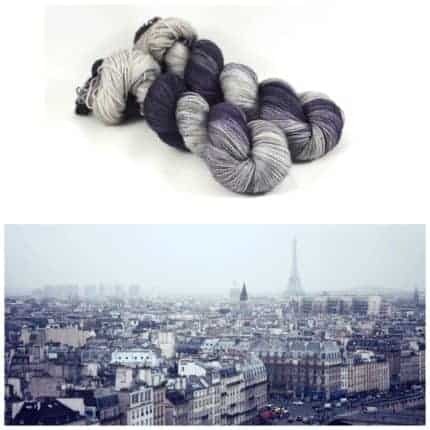 City of Lights is inspired by impressionist paintings and walks by the Seine. Palais Garnier is inspired by my favorite building, the Parisian opera house, with rich red velvet against the stone and iron of the exterior. With Parisian Fog I wanted to capture the image of the iconic Parisian buildings, with their wrought iron balconies, receding into the hazy distance. 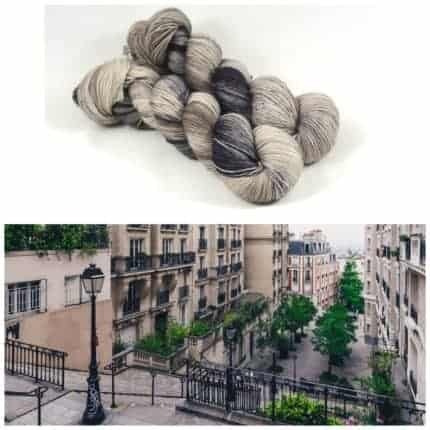 Finally, Montmartre translates the iconic stairs into yarn with warm, French gray speckled with the black of the ironwork and lampposts. 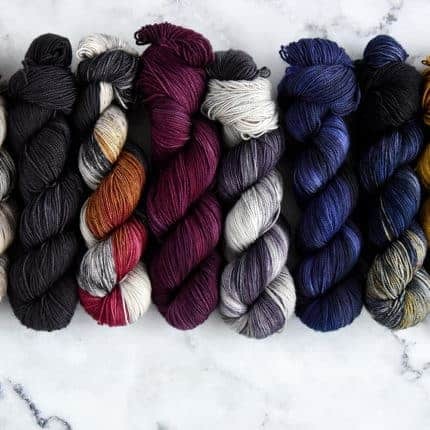 Just for fun, I dyed up the entire collection as a mini skein set — because how much fun is it to own them all?! 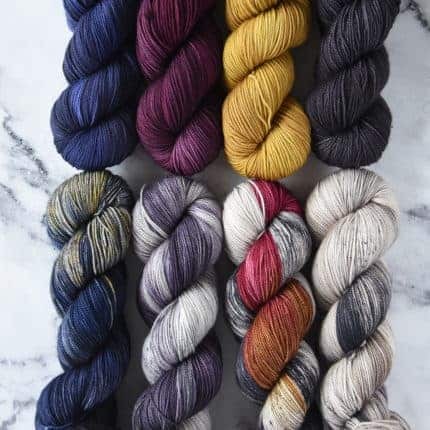 All of these colorways, the minis and so much more are available online, or find them at Booth 216-218 at Stitches West.